Interior design is a field that is constantly evolving, just like the world of fashion. Certain trends come and go, others are here to stay. However, no matter what trend it is, the whole point of interior decorating is to create a peaceful haven in the comfort of our own home. One of those trends that can do this definitely is the Zen style. The Zen style home decor is a trend in itself. One that completely stands out from all the rest due to its aesthetic elements and functionality. Nowadays, the erratic and stressful times make it increasingly difficult for us to find tranquility and relaxation in our lives. People now lead such hectic schedules, regularly pushing their minds and bodies into sleepy auto-drive. It’s no wonder that insomnia, anxiety and mental health issues are on the rise. For this reason, zen principles applied in interior design have increased in popularity and was incorporated into our everyday lives in order to survive life in the fast lane. Zen is about finding the balance among the three so-called “invisible forces” within the home, which feng shui masters believe to be the universe, earth, and man. Once these three legs of Zen living meet at a point, your mind, body, and soul will feel renewed. If you are looking for a calm oasis in a sea of stress when you return home, decorating in the Zen style is the perfect answer for you. Zen is a style of Buddhist spiritual meditation practice. It is sometimes called a 'teaching' or a 'philosophy', but its core is the practice. This philosophical and religious school has touched many spheres of life – including the sphere of culture and art, influencing the formation of the category of Oriental aesthetics in general. Zen teachings don't actually address any interior design or decorating issues, but they do emphasize a rigorously simple and disciplined lifestyle. 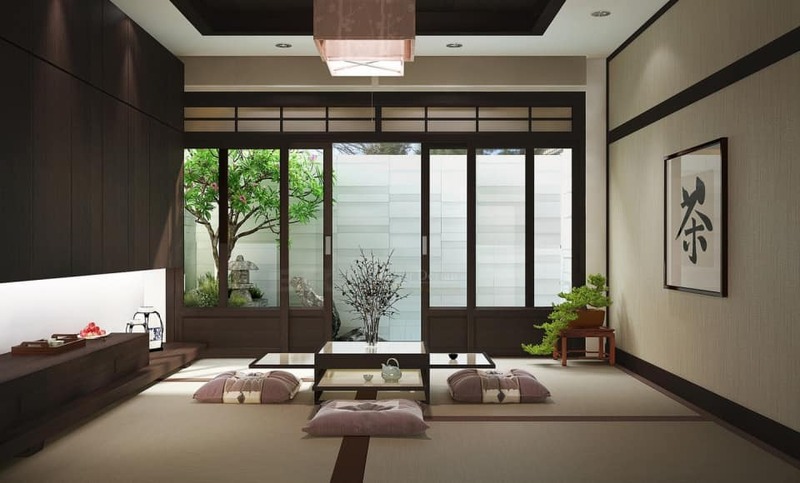 Most people know very little about the historical and philosophical roots of Zen interior design. Throughout your daily life and work, you cultivate a calm, clear, pure, wide open attitude of mind. You practice loving-kindness toward all beings (not just the human ones). You meditate in the zazen style, sitting quietly, emptying your mind of thoughts (memories, plans, opinions) and focusing on your breathing. The Oneness of All is one of the basic tenets of Buddhism, and the whole point of Zen is to realize this Oneness through spiritual practice. It's a lifelong quest, and there is much more to it than this - but since you're here for Zen interior decorating and Zen design, let's stick to the ultra-quick shortcut version. In other words, Zen is not actually about home decorating. But there are ways to express the essence of Zen in home decorating. So the concept of a 'Zen bedroom' is created, it's not historical. Not necessarily. The word 'Zen' is Japanese, and the first Zen teachers that came to the West were Japanese. But the practice originated in China, about 1500 years ago (it was called Ch'an). With the expansion of Buddhism, it spread to Vietnam, Korea, Japan, later to Europe and the USA, and is now practiced in many parts of the world. Still, others believe that zen interiors cannot exist without either a traditional or contemporary Japanese touch. Applying Zen principles to home decorating is, of course, a very good idea, and lots of people are doing it. The purpose of decorating Zen style is to turn your home into a sanctuary, a soothing, tranquil place of respite from the rush and emotional demands of the outside world. Creating a Zen interior design in your home means that your home should be in sync with nature and the world around us. Zen in the house promotes relaxation and brings peace. 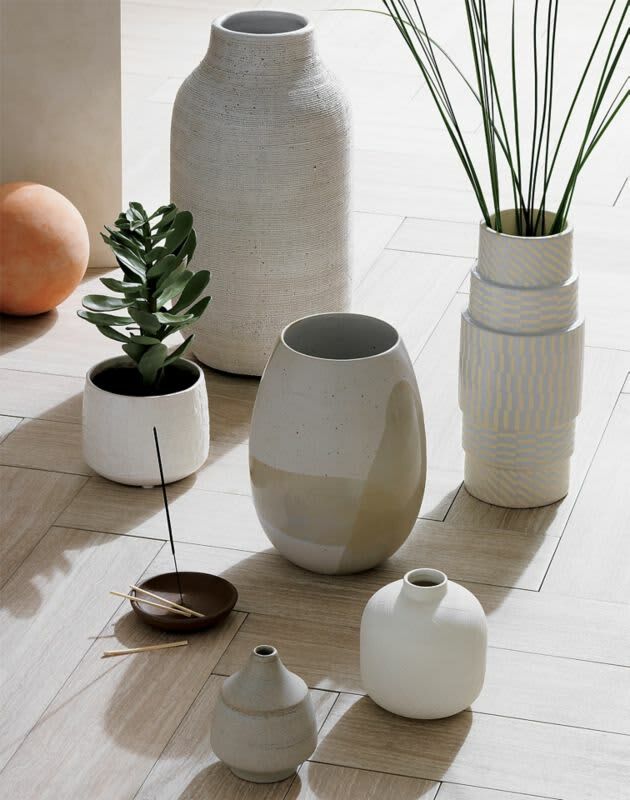 A zen inspired design is all about calm, 'quiet' in soft tones colors, such as neutrals (white, cream, tan, grey, shades of beige or pink beige), water and earth tones with a high content of gray, brown, or black, which have the power to induce a sense of relaxation and calmness. Colors that exist in abundance in nature are among those optimal choices for a zen interior. These colors tend to be muted, or visually low impact. If you love color, choose for visually quieter versions of your favorite hue for a calmer and more serene zen atmosphere overall. If there is some type of pattern within the color, it tends to be very subtle and minimal. Chromatic harmony between the various elements is very important, as well as the visual continuity between walls, furniture, and floors. Tassajara Zen Mountain Center, Ventana Wilderness, CA (USA) © earthw. This room pushes the limits of Zen decorating - you could simplify the space further by taking a few accessories out of the picture. But the color scheme is infused with calm neutrals and clean simple lines; the photo portrays a general mood of serenity. The most relaxing spaces seem to be those ripe with natural light or those with a cozier, more intimate lighting atmosphere. For this reason, fluorescent and/or harsh lighting doesn’t gel well with zen décor. Replace them with calming, nature-inspired or candle lights. Place different sources of light which will allow you to control the intensity and the areas to be lighted. Avoid projecting a strong direct light from the ceiling and take advantage of all possibilities to mix a floor lamp, a lamp set, and indirect light. 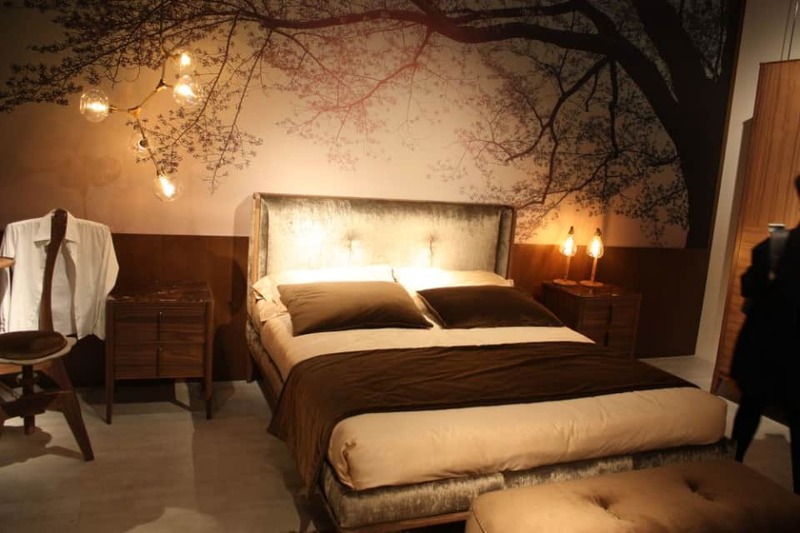 For the bed area, wall-mounted reading lights are very practical as they can be oriented to emphasize the respective area, unlike bedside lamps which are rarely flexible. If you like diffused light, you may opt for some nice (scented) candles. 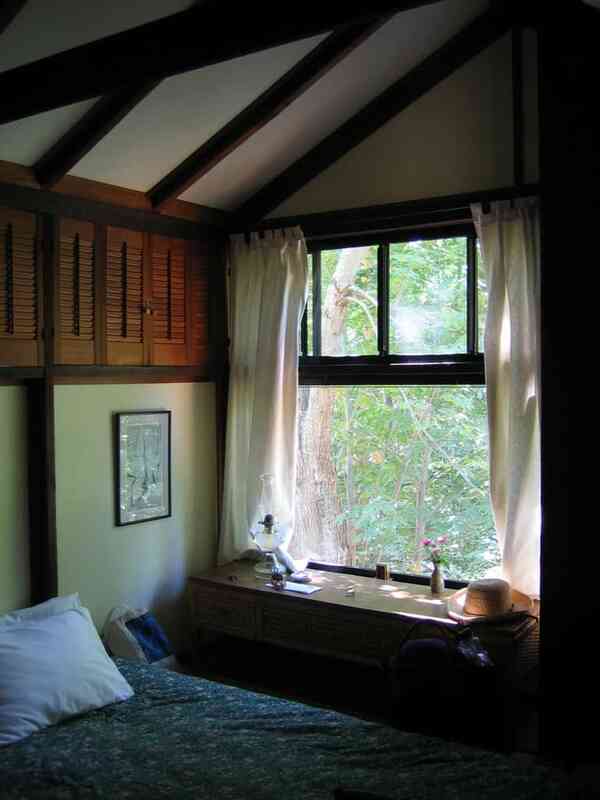 Window covering should be a simple as possible, the fewer patterns and drawings – the better. Plain white or natural sheers with no ornamentation are perfect. If more privacy is wanted, bamboo blinds will harmonize with all the other natural elements in the room. When it comes to Zen furniture, the philosophy could be summed up like this: Have no furniture in your home that you don't need, but make sure what you do have is simple, comfortable and beautiful. In true Zen interiors, everything counts. The furniture should be high quality and made of natural materials as these bring a sense of warmth and relaxation. Because of the emphasis on simplicity in zen décor, it is better to go with clean, straight lines. Lots of curves and patterns lead to visual busy-ness, whereas keeping silhouettes and lines straightforward lends itself to a sense of aesthetic calm. Furniture that is made of natural materials tends to work best, although there are some clean-lined contemporary pieces made out of modern materials that could work well, too. 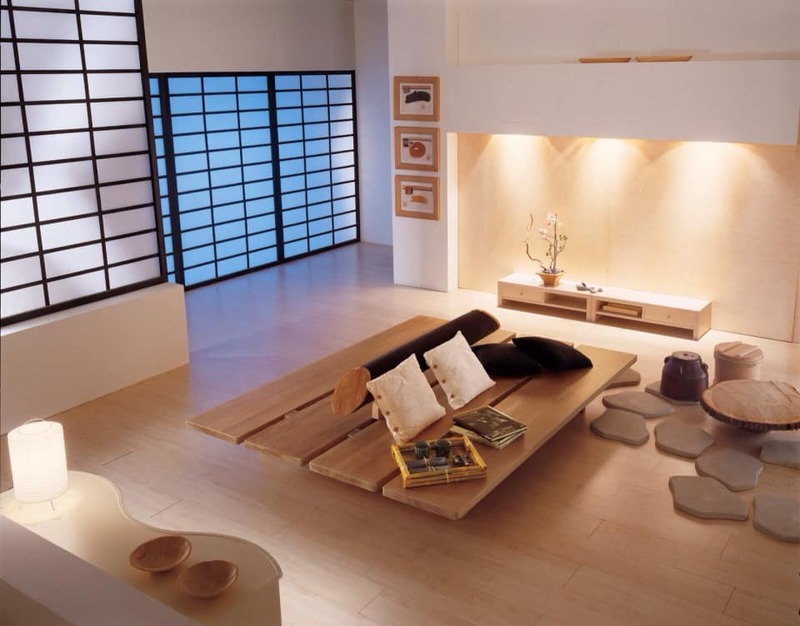 Traditional Japanese interiors embrace minimalistic lines, and the concept works seamlessly with contemporary design. Since the Zen style bears simplicity in itself – the house is furnished with furniture with sharp corners, without steep bends. Floor level furniture is usually used to create a relaxing, serene atmosphere. Low height seating tends to draw your eyes upwards helping you sense the volume of the space. This kind of interior style is perfectly complemented by small, varnished tables and modern technology. For a bedroom, it is better to choose a low bed, place it close to a source of natural light and avoid placing it in front of the door or a passage area. Have hidden or built-in storage. Storage is crucial to living in the 21st century. However, because zen décor is all about maintaining visual clarity and simplicity, it makes sense that built-in or hidden storage would be a part of this. Maybe you can't do without the flat screen, the sound system, your computer games and the family's collection of laptops, but they don't have to be on constant display. Some people think that Zen interiors have to be sparse and spartan, that it's about denying yourself comforts. But that's not how it is. The zen interior design is not about living in empty rooms. It's about creating true well-being, for body and soul; and can be archived by conscious awareness. Reducing the decor in your home can have a similar effect. The less there is to stimulate your senses, the more you will notice what is there, and how it affects you. You could express loving kindness through the materials you use, and the things you surround yourself with: Are they pleasing to the senses? Is your furniture comfortable? Do you feel at ease with the things around you? Do they feel welcoming to others? Simplicity in Zen interior design doesn’t mean that you have to cut off your need, it's about to appreciate every single thing you own. While storage is either concealed or integrated into space’s design seamlessly, objects that are viewed as clutter are removed entirely. 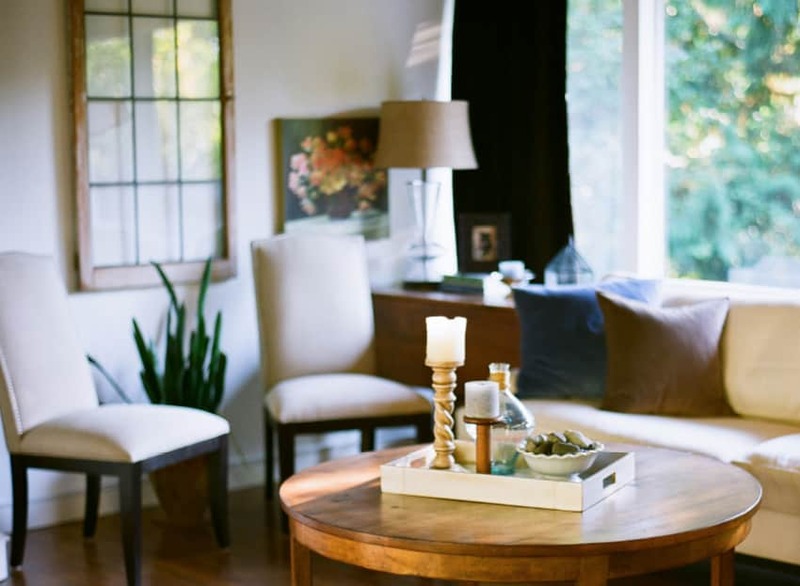 Clutter can impede the capacity for relaxation, which is the opposite of the goal for zen décor. Instead, the horizontal surfaces are somewhere in the spectrum of well-edited to completely cleared off. Of course, we still need “stuff” in our lives; it just needs to be organized and stored in such a way as to promote organization and clarity. Clear your room of as many items as possible and keep only the essentials, but feel free to add whatever may bring you extra comfort. Certain smells help us relax because we associate them with a sense of safety or security. Some smells, like lavender, help a large number of people relax, simply because aromatherapy is powerful. Your home is your sanctuary, and you should associate it with peace, tranquility, and relaxation. A homemade linen spray, soy or beeswax candles, and essential oils are all natural ways to enhance your room with fresh scents and help ease your body and mind into a peaceful state. Electronic devices are most often a source of distraction and therefore do not integrate with a fully zen decor. However, if you need to have your TV set in the bedroom, for instance, make sure you place it in a discrete area or hide it in a specially designed cupboard. The same is true for wires and cables and cords; even your phone charger should be tucked away or designed to be part of the space itself for a truly soothing zen space. 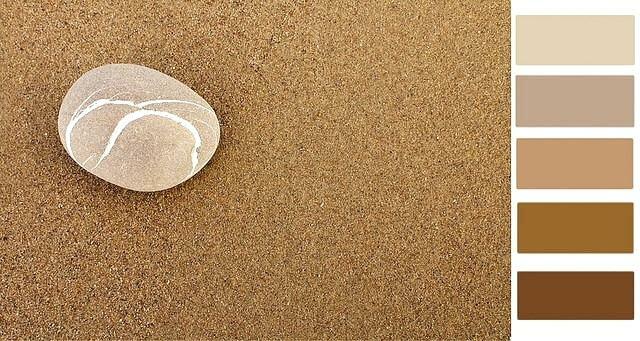 In a Zen environment, Nature & Art interact with each other. 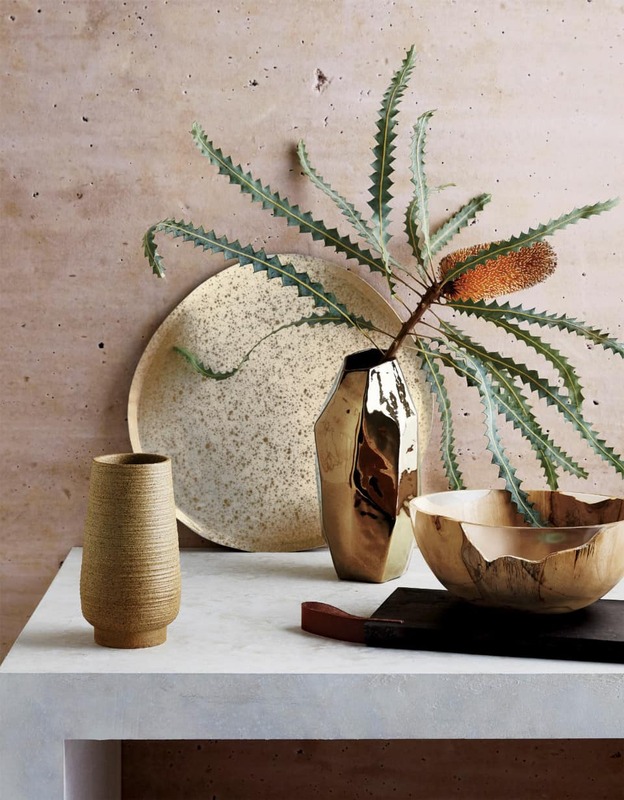 With its love of all things natural, zen décor, of course, thrives in a setting where the line between indoors and outdoors is blurred. Inviting nature into your home definitely creates soothing vibrations. 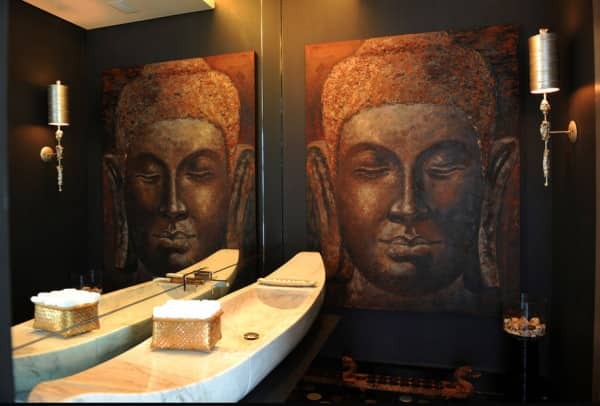 Zen spaces are beautiful because of the abundance of natural materials used in the décor. Bamboo and wood are popular options for zen interiors, with the organic flow of the grain and the earth-centered coloring. Bamboo also plays a fundamental role in the Zen art. This flexible material can be used to give more texture to a general design. Inherently, plants and greenery are soothing to people, both because of their green color (which is associated with calming effects) as well as their oxygen production. Even the smallest plant in a nondescript neutral pot has an immense effect on the peacefulness of a room. However, avoid flowers which need special maintenance or may emanate disturbing scents. Bonsai trees or hanging terrariums, for example, make a good choice and are often included in zen décor. 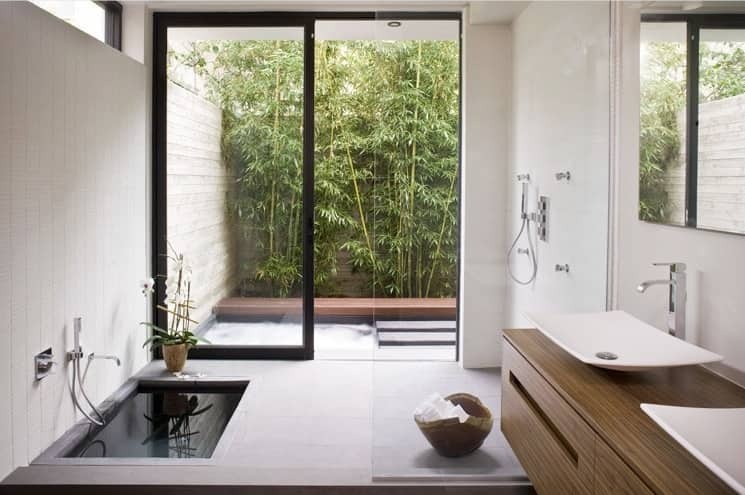 A Zen-style house design is not complete without adding a water element. The sound of water has a great impact on emotion and mood, reduce stress levels considerably and improve the quality of sleep. 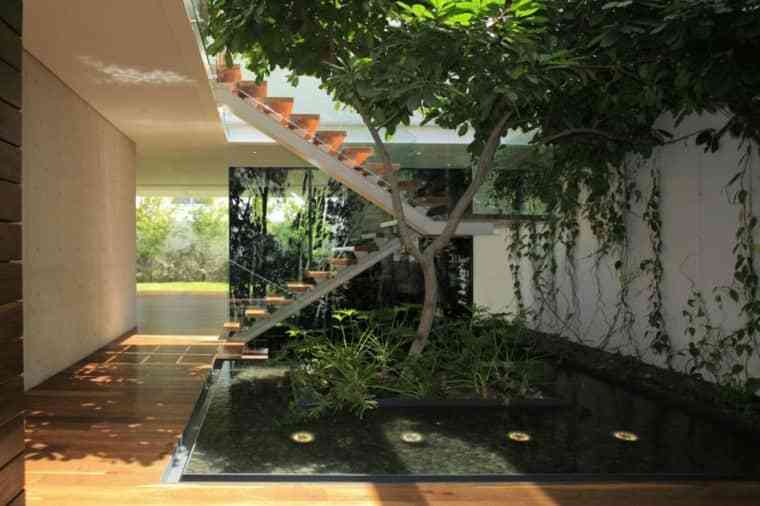 Therefore adding a water feature to the room makes it more tranquil. It can be a large feature in the middle of the room or a small fountain on the tabletop. 9. Aim for Balance and Lightness. It’s a cornerstone of good design everywhere, but particularly in zen décor, balance is critical. We sense, whether subconsciously or consciously, aesthetic imbalance and the effect is off-putting. Weight your pieces visually and make sure each component either helps to balance another part or has an alternate balancing part for itself. This helps our state of mind, in the sense that we will find it easier to focus. Moreover, the creation of balance brings about serenity, which is great for our mental health. Zen style interior design is all about lightness, both in terms of physical weight and visual complexity. Light, minimal and floating forms tend to have a calming effect on the mind. From individual decor pieces to the overall spatial design of the room, ditch all the extra weight and follow the less is more maxim. You can achieve lightness through simple variations in traditional decor such as opting for light bamboo furniture over heavier solid pieces or translucent separator screens instead of heavy opaque doors. Even when it comes to plants, thin, long-stemmed varieties like bamboos tend to be lighter on the eyes. Looking at this list, you might find that Zen interior design is a fairly radical concept. But it doesn't have to be. You could, for example, start with one area, even a very small one; if you have a home office, it could just be a part of your desk. Decide that nothing is going to encroach on this free space. It holds no things that could demand your attention - just a clear, calm, empty space to rest your eyes on. Any part of your home could become an experimental Zen decorating zone like that. You should view your home as an extension of you. Your home should support you, not challenge you. Our home is a mirror of ourselves, so try to build a home that you can love. It’s really a form of self-love and self-care. Even just having really nice curtains you love can make a difference. A space you love, where you feel good – that’s energy. Zen home décor also focuses on the value of meditation and perception. Qualities that can only lead to growth and success as a person. 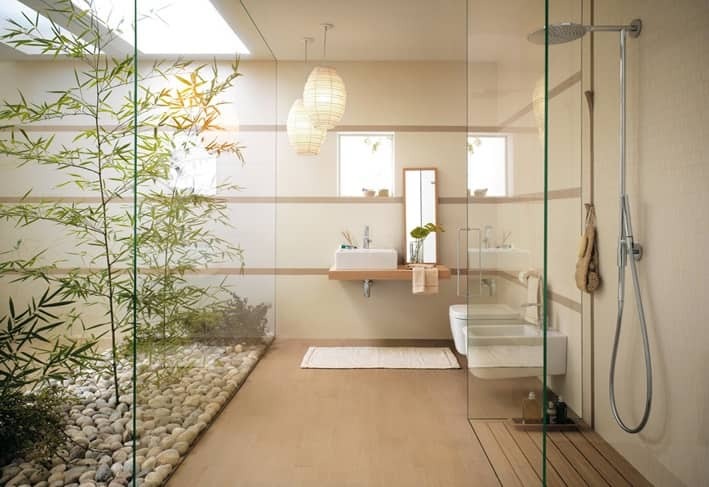 Do you find Zen style is something you would like to try for your space? Or maybe some tips on improving home decoration/organizing? Share this blog and comment on your thought! Don’t forget to check out some tips on how to incorporate bamboo material in interior design for a Zen style home.